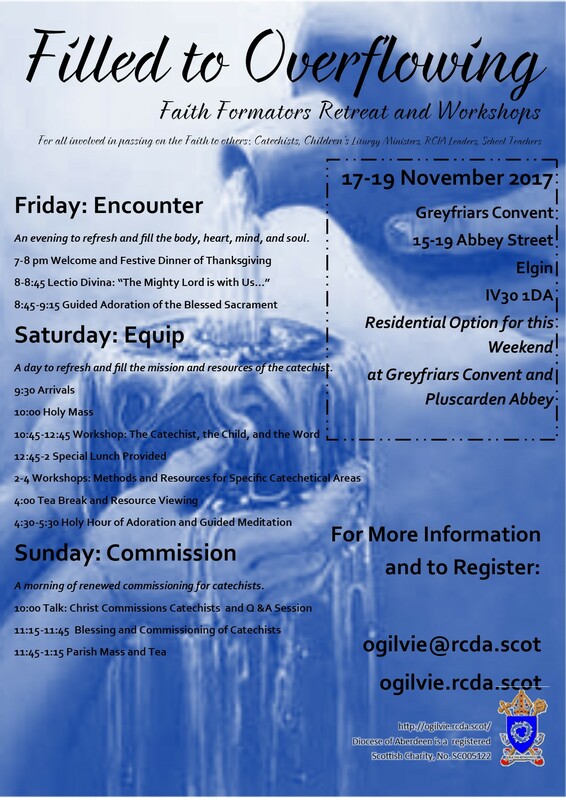 The Ogilvie Centre is providing a weekend retreat for all catechists, children’s liturgy ministers, RCIA leaders, Catholic school teachers, and any others who minister to others’ faith formation. While the most benefit will be derived by those who attend the entire weekend, there is an option to attend only the Saturday programme. Please indicate your choice on the registration form. All participants must register by 18 September 2017 for the September retreat option and 10 November 2017 for the November retreat option.